The brash-and-bold supercar will lead the IndyCar field during the iconic race on Memorial Day weekend. 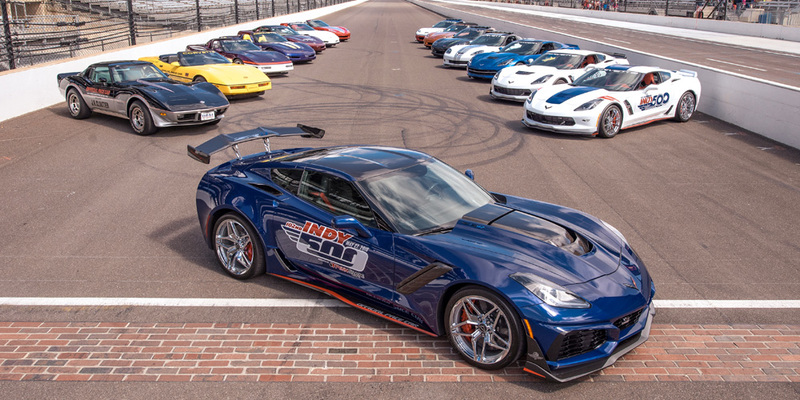 The 2019 Chevrolet Corvette ZR1 will serve as the official pace car of the 102nd running of the Indy 500, which will take place on May 27. Chevrolet is one of the two engine providers of the Verizon IndyCar series, and the stunning 2019 ZR1 represents the pinnacle of Chevrolet's road car performance division and the Corvette lineup. With 755 horsepower and 715 pound-feet of torque, the king of the 'Vettes is the perfect machine to lead the field of milk-thirsty racing drivers. A total of 14 Corvettes have had the honor of pacing the 500-mile race in years past, dating back to 1978 when a black-over-silver C2 Corvette crossed the yard of bricks for the first time under such conditions. Like most racing series' pace, medical, or safety cars, this particular ZR1 is outfitted with special equipment that allows the driver and/or passenger to communicate with the IndyCar race control and other track operatives. In addition, a full caution lighting system makes sure the low-sitting racing drivers can see it properly when on track. 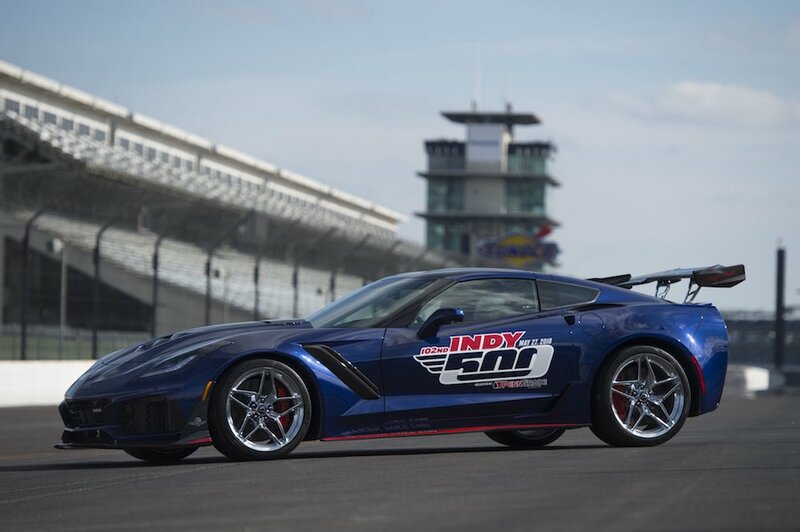 Of course, the most important quality of the Indy 500 pace car has to be its outright speed. Just because the IndyCars behind it are zig-zagging ahead of a start or restart it doesn't mean they're going slow—not even close. Even during caution periods, the pace car can exceed 100 miles per hour in order to keep the field moving and allow the drivers to keep their tires up to temperature.